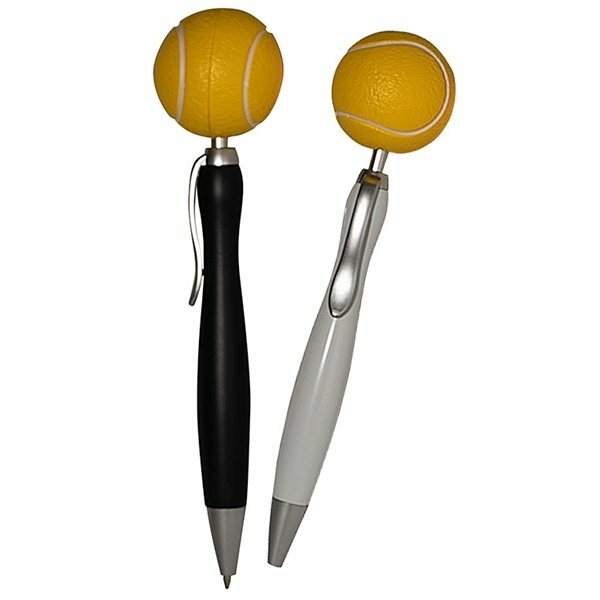 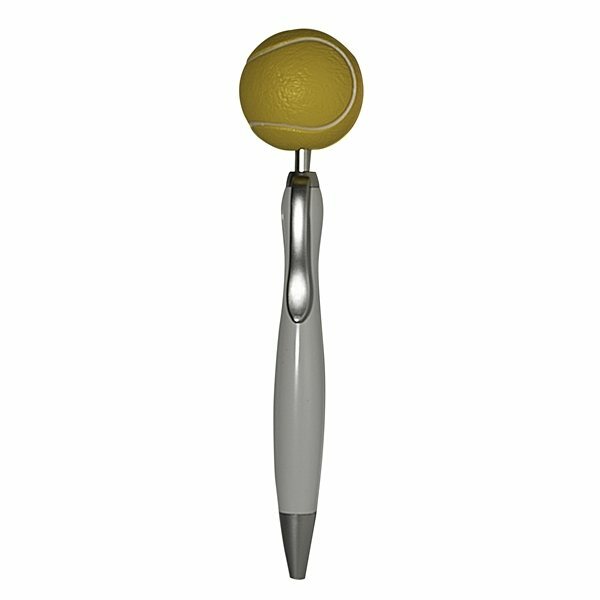 This ballpoint pen with a tennis ball Squeezies® stress reliever topper design is a unique promotional pen that will help your clients relieve their stress. This 2-in-1 pen has a removable stress ball, for more impact. 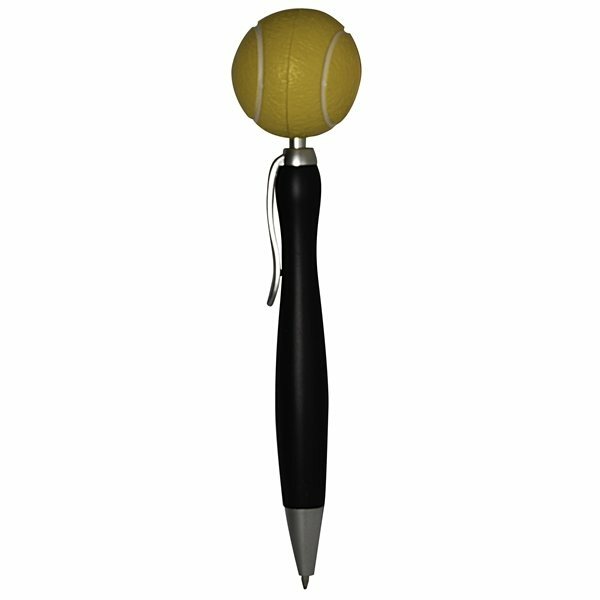 Great for little league, college or the major leagues!